Jared C. Tilton/Getty ImagesThe No. 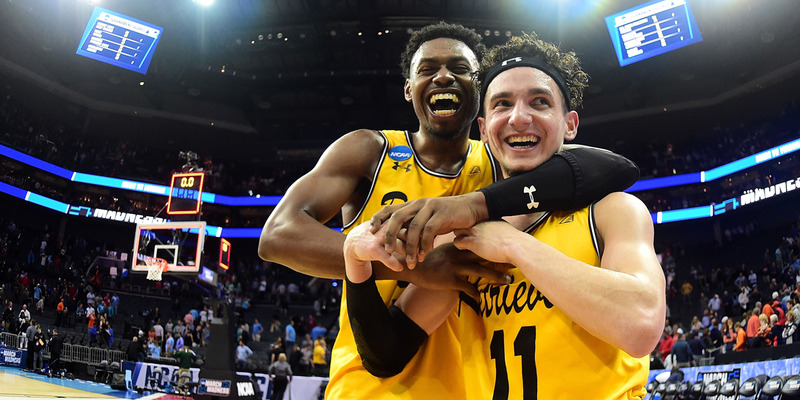 16 UMBC Retrievers pulled off one of the greatest upsets in NCAA Tournament history on Friday night, defeating the No. 1 Virginia Cavaliers 74-54. The No. 16 UMBC Retrievers made history on Friday night, defeating top-ranked Virginia in the first round of the NCAA Tournament. As the game played out, the @UMBCAthletics Twitter account rapidly gained, live-tweeting the upset and taking vengeance on sportswriters who dismissed the Retrievers too early. UMBC will play again on Sunday against No. 9 Kansas State in the second round with a spot in the Sweet 16 on the line. The No. 16 Maryland-Baltimore County Retrievers pulled off one of the biggest upsets in March Madness history on Friday night, defeating the top-ranked Virginia Cavaliers, marking the first time in the history of the men’s NCAA Tournament that a No. 1 seed has fallen in the first round. Every player, coach, and fan associated with the Retrievers undoubtedly enjoyed the win to its fullest extent, not to mention those who bet on the unlikely upset and won thousands of dollars because of it. But it is possible no one on the planet had a better time that Zach Seidel, who runs the @UMBCAthletics Twitter account. The account began its night as you might expect, exciting fans and reporting out facts about the school’s tournament history. But when Seth Davis of CBS Sports implied the game was already over just minutes after tip-off, Seidel took issue. That’s when things started getting fun. @UMBCAthletics continued to provide Davis with updates as the game progressed, and slowly but surely, it became apparent that Davis had in fact spoken much too soon. With the scored tied 21-21 at halftime, confidence was prevalent among the UMBC faithful. Still, heading into the second half, they remained realistic about their chances. But as the Retrievers refused to give up ground in the second, even Seth Davis began to worry. And then, the unthinkable happened. After years of perfection, the record of No. 1 seeds in the first round fell to 135-1, as the UMBC Retrievers made history. While there might have never been a more-deserved time for gloating in the history of sports, Seidal was gracious in victory. Seidel also told SB Nation that going into the game, he knew they were the heavy underdogs, but he believed the Retrievers had a shot to make some noise. Since the start of the game, @UMBCAthletics has grown from just over 5,000 to over 78,000, and that number will only continue to grow leading up to the team’s matchup on Sunday against No. 9 Kansas State in the second round with a spot in the Sweet 16 on the line. You can bet that Seidal will be ready to spread the word about the Retrievers yet again, especially if they continue their unprecedented Cinderella run.